Quick and easy snack that the kids can enjoy making. 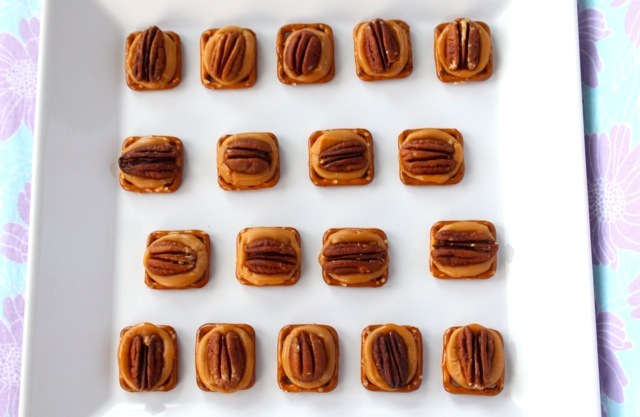 Also a great bite-size snack on the go. Unwrap caramel and cut in half. Place pretzels on ungreased cookie sheet. 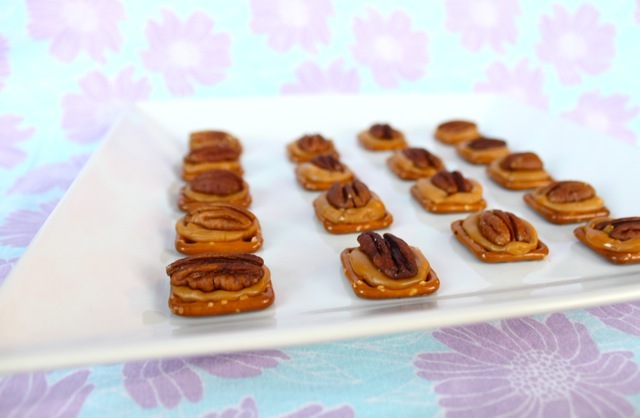 Put a caramel half on top of the pretzels. Bake in oven at 200ºF for about 10 minutes or until caramel has softened but not completely melted. Remove cookie sheet from oven and immediately place your topping on top of the caramel while it is still soft. Allow it to cool for about 5-10 minutes before serving. Try putting a rolo between two pretzels and letting it melt in the oven for a couple of minutes. Yum, Yum! sounds delicious too! thanks for sharing that tip. Yum this sounds so good, I’m kind of glad I can’t get pretzels that easily here or I’d be trying that this weekend! Yes, the rolo varation is DELICIOUS!!! You get the caramel AND chocolate. It doesn’t get any better than that! Yum! I think I’m going to drizzle these in chocolate too! Blog award on my site for you today, Tiffany! Yum! These look great. Thanks for linking the recipe at Domestic Adventure! The pretzels made with Rolos and a pecan are called “Poor Man’s Turtles”. They are yummy. They will look nice put on a cookie tray.